Ellen Patnaude is Vice President of Instruction for the Northeast region. She is based in Detroit, Michigan, but she also facilitates team building events in Chicago, Cincinnati, Columbus, Toronto, Baltimore and other Northeast cities. 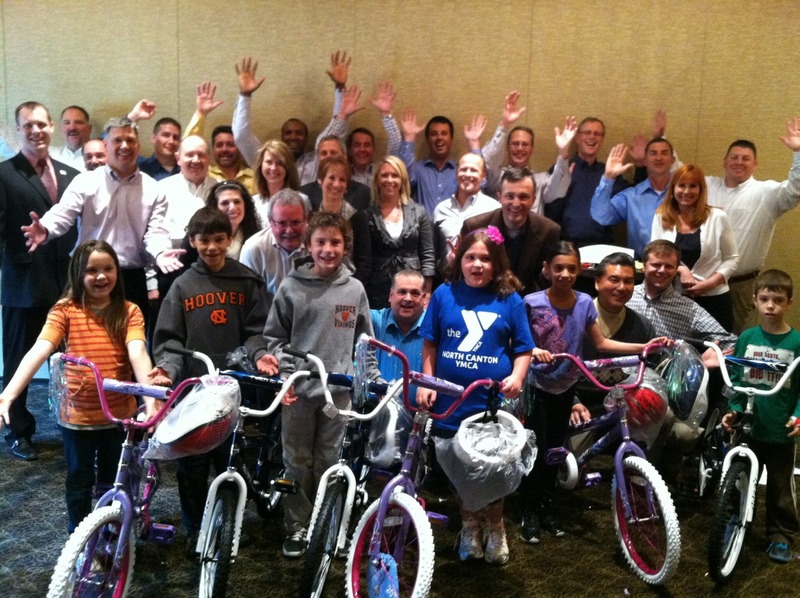 Diebold hosted a Build-A-Bike® team-building workshop for its Sales and Service Teams to encourage team building and philanthropy as part of its recent conference in Canton, Ohio. This was the first time the two national accounts teams had come together for a joint kick-off meeting together, and there was a lot of excitement and friendly competition in the room! For 150 years, Diebold has brought together a combination of innovation, expertise and quality service to become a global leader in providing integrated self-service, security systems and services. Headquartered in Canton, Ohio, Diebold employs more than 16,000 employees, with representation in more than 90 countries worldwide. Build-A-Bike ® uses a series of challenges and activities to encourage team building. Meant to be something of a caricature of behavior we can see in the workplace, the participants have a good time poking fun at themselves and each other as they move through the exercises together. With a healthy level of competition between these two groups built in, it was challenging for them to put that aside and work together, but they did eventually do so in order to successfully complete the challenges. They wanted to keep the impact of this event local, so they selected an organization in Canton to receive the 6 bikes that they built. The director of the local YMCA club brought kids to the event to receive the donation, and told the group privately about the impact that this will have on them – one of the boys had recently had his bike stolen and had no prospects of replacing it – until now. Groups within an organization that need to work more closely together can benefit greatly from the team building lessons of Build-A-Bike®. 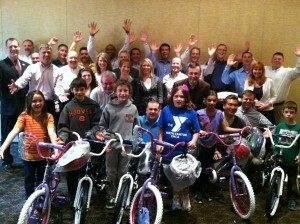 And everyone loves to see the looks on the kids’ faces when they get a brand new bike! If you want to encourage team building while giving back to your local community, consider including a Build-A-Bike® team building workshop in your next conference.